Within Teamwork Projects, you can quickly add a new message no matter which part of your site you are currently in, by using the quick add + button in the top right above the search bar. You can also use our keyboard shortcuts by pressing q on your keyboard to bring up the menu then press n.
If you have more than one project on your site or have access to more than one you will be first asked to choose a project to add the new message to. 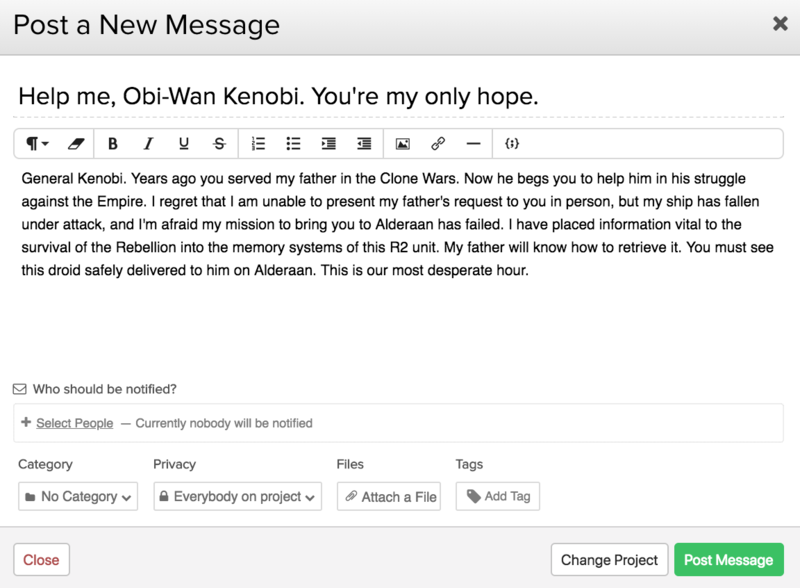 Once you choose the project you can then use the editor to create the message. Note: If you are viewing a particular project at the time, the message will be added to that project by default but you can choose a different one using the Change Project button.